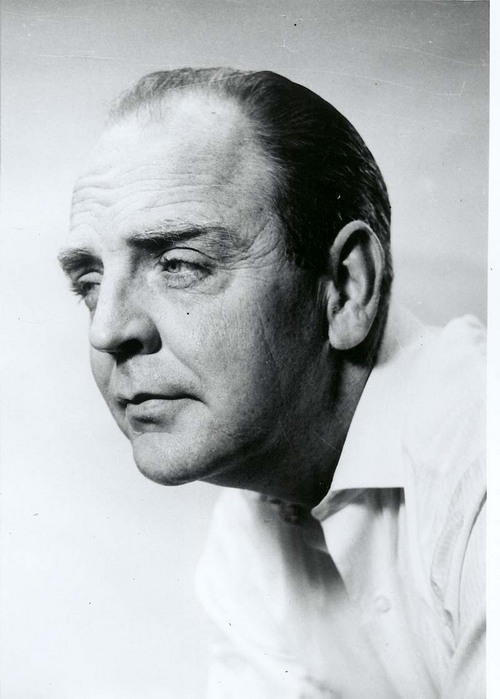 A portrait of playwright William Motter Inge, 1913-1973. Born in Independence, Kansas, Inge graduated from the University of Kansas, worked for a Wichita radio station, and taught in both high school and college. His play "Come Back, Little Sheba" brought him fame in 1949. In 1953, the play "Picnic" won a Pulitzer Prize and in 1955, "Bus Stop" received rave reviews. Inge drew upon his Kansas background for the characters and storylines in his plays.